Forests could be managed and protected more effectively with the use of smart apps, which would also increase transparency, experts say. Forest rangers and forest owners would be able to use their mobile devices and ‘go on patrol’ with smart applications. The smart apps will help them quickly discover foreign fires and illegal logging sites. According to the Ministry of Agriculture and Rural Development (MARD), Vietnam has 14.38 million hectares of forests with coverage level of 41 percent. In some localities, management agencies have installed systems to automatically collect information from forests, and update information about status and weather conditions so as to give exact predictions about forest fires. The information can be automatically sent to forest owners and agencies. The system can also automatically create firefighting solutions for every forest area in the most effective way. However, because of the low living standards and hard life, it is difficult for forest protectors to access high technologies. The application of technology in forest protection and development can be deployed in only some localities. MARD has set up software to update changes in the forests. The data can be stored in a central data system, and will be updated to the units which have demand. To date, all the data about forest resources has been evaluated in 60 provinces, 550 districts and 6,427 communes, while data of more than 1.1 million forest owners and over 7.1 million forest blocks have been manually collected by district officers every year. This includes information about the causes of forest cover changes and incidents such as forest fires. 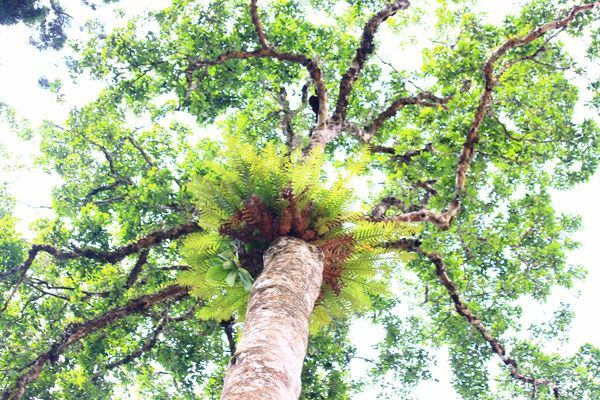 According to the Quang Nam provincial department for agriculture and rural development, the unit has created a plan on managing forests with information technology and remote sensing images. With the support of JCA and Truong Son Xanh projects, local forest rangers have been given 225 tablets. In the near future, flycams will be bought with the local budget to improve the efficiency of foreign management. “Quang Nam will use unmanned flying objects which can discover incidents and violations quickly and report to the central management unit,” said Le Tri Thanh, deputy chair of Quang Nam province People’s Committee. “It is now time to go on patrol using high tech,” he said, adding that the forest area is large, but the number of staff is limited.